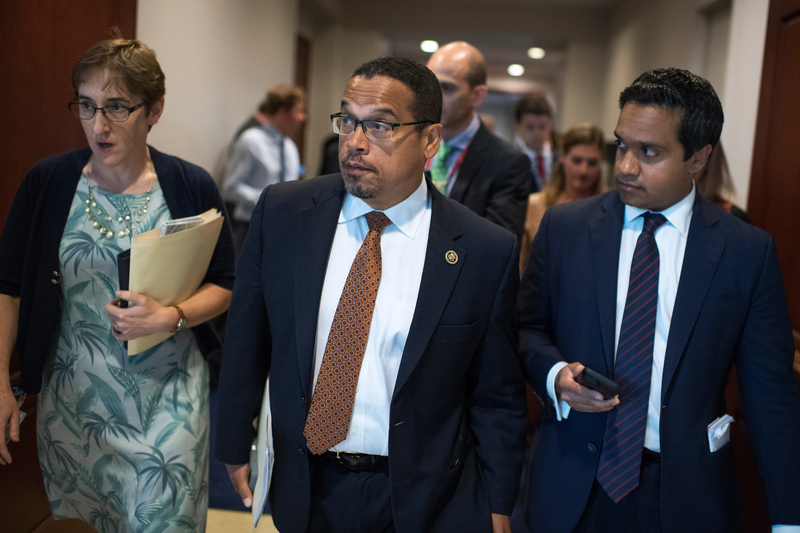 Should Rep. Keith Ellison be chosen early next year as chairman of the Democratic National Committee, that will be a sign the party is going to be about resisting Donald Trump’s presidency at every opportunity while hewing emphatically to its liberal core. Both of them winning, therefore, would be a remarkable acknowledgement of a Democratic schizophrenia that party leaders have been struggling to address for decades. But if even one of them gets a partisan promotion, it would be a tangible sign that Democratic elders, concentrated for so long along the two deep-blue coasts, are ready to start yielding to the pent-up demand for more power from younger politicians hailing from the nation’s newly purple heartland. 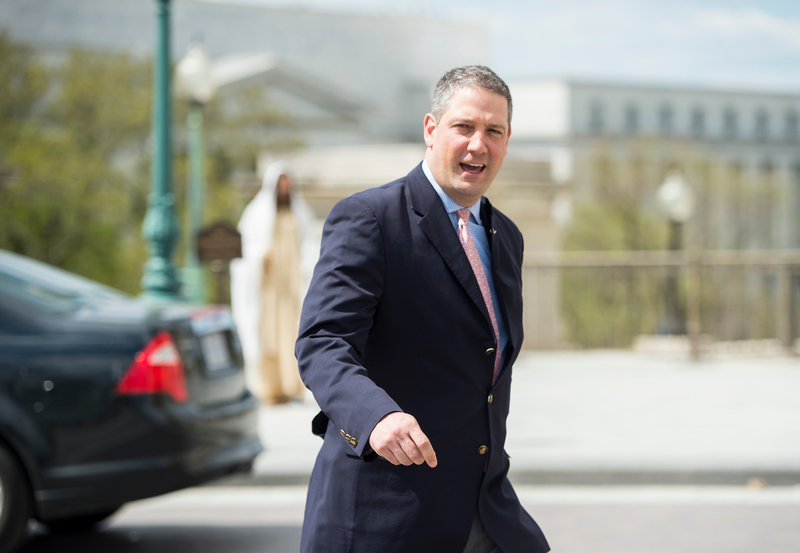 Ryan, 43, was the youngest Democrat at the Capitol when he arrived in 2002 to represent a part of northeastern Ohio emblematic of the nation’s industrial decline and, therefore, an embodiment of the 2016 presidential outcome. Several big counties surrounding Youngstown, his district’s population center, supported President Barack Obama in both his elections but moved into Trump’s column this time. Ellison, 53, was first elected a decade ago as the first Muslim in Congress and the first African-American member from Minnesota. Sufficient turnout in his Minneapolis district was perhaps the determining reason why Hillary Clinton held on by just 44,000 votes, or 1 percentage point, in a state that hasn’t fallen to the GOP in the Electoral College since 1972. Beyond sharing safe holds on House seats in the Rust Belt, law degrees and political résumés beginning with state legislative elections early in the century, the two lawmakers are sharply different in their biographies, world views and political backstories. The narratives for their potential advancements in the party hierarchy, and their accompanying rationales, are very different as well. Ryan faces the much less likely path, and he may well end up deciding against pursuing it. Nancy Pelosi — the millionaire 76-year-old San Francisco liberal who’s been top Democrat in the House for 14 years, four of them as speaker — on Wednesday asserted she had “the support of more than two-thirds of the caucus” to stay on, effectively declaring victory even as Ryan continued mulling his options. Ryan started talking up his potential candidacy just this week. Trump’s election and the Democrats’ much-smaller-than-expected pickup of only six seats, he said, means it’s time for a different minority leader who could “get more blue-collar workers voting blue again,” starting by collaborating with Trump on his protectionist trade agenda and his plans for an enormous infusion of federal spending on construction projects as a sway to boost job creation. Although he’s well-known at the Capitol for his promotion of the New Age meditative practice known as mindfulness, Ryan’s own career fits the bill. He was raised partly by his union-member grandparents, a steelworker and county bureaucrat. Since coming to Congress, he’s promoted defense spending increases to boost the U.S. industrial base, sided with energy companies over environmentalists in “fracking” disputes, and been an outspoken critic of China’s currency manipulation and other trade practices. In the end, though, he’s backed Obama 89 percent of the time and stayed in the fold on 95 percent of the votes that fell mainly along party lines, right at the averages for the Democratic caucus since the Obama administration began. Although Pelosi agreed, under pressure from colleagues, to delay leadership elections until Nov. 30, the day after the end of a Thanksgiving break starting next Thursday, Ryan probably does not have the time to make his case or the organizational aptitude required to oust someone as entrenched as she seems. It’s also not clear his colleagues, demoralized though they may be, are willing to turn the reins over to a leadership neophyte. The last real challenger to Pelosi was another centrist from far outside the inner circle, Heath Shuler of North Carolina, who garnered just 43 votes even after the party lost its majority by surrendering 63 seats in 2010. He left two years later. Ellison, in contrast, has established himself as the clear, if not quite prohibitive, front-runner to become the next national party chairman. He’s a chief deputy whip in the House who’s already assembled a collection of endorsements rich with leaders of the party’s progressive wing but stretching also into the center-left mainstream. Last fall, Ellison was the second member of Congress to endorse Bernie Sanders for president. And the Vermont senator was among the first to back his bid. Sen. Elizabeth Warren of Massachusetts endorsed him Wednesday. Those two, and a dozen of his other congressional backers, are sure to be in the vanguard of Democrats fighting Trump’s nominees and legislative program at virtually every turn. Ellison did not mention Trump in his own announcement, which had a much more traditionally liberal, touch-every-constituency Democratic tone than Ryan has been using. Ellison’s voting record since Obama took office has been a bit more partisan than most House Democrats, with 91 percent presidential support and almost 99 percent party unity. Underneath that, though, is a worry that parts of Ellison’s past could send the wrong signal from a party hoping to expand its reach while boosting enthusiasm from the base. One of four future attorneys and a physician reared in Detroit by a social worker mother and a psychiatrist father, Ellison converted to Islam in college and, in law school, wrote several articles defending Nation of Islam leader Louis Farrakhan from charges of anti-Semitism. As an attorney in private practice, he helped organize a delegation to Farrakhan’s Million Man March in Washington in 1995 and came to the defense of a domestic terrorism group member accused of trying to blow up police cars. Soon after his election to Congress, he likened President George W. Bush’s consolidation of executive power to that of the German government in the 1930s. Unlike Ryan, who would have just two weeks to press a long shot candidacy, Ellison must maintain his early momentum for at least three months. Democrats won’t pick their new national chairman before the end of February, others could get into the race, and the aftermath of Trump’s triumph could continue to be as unpredictable for the party as was the campaign and the election itself.